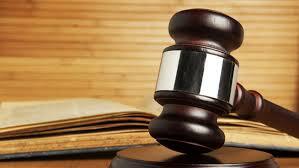 A Grand Rapids Father’s Rights Attorney is a requirement if you are facing a divorce. The right divorce attorney can help you when you are facing a life changing event like divorce. Especially when time with your children is in jeopardy. Your children are priceless. Don’t assume that the judge or someone at Friend of the Court is going to look out for your interests and make sure that you are fairly treated. Some judges and referees don’t consider a father’s rights to have quality time with their children and a fair property settlement. That is why you need experience legal representations from Krupp Law. We have over 95 years of combine divorce experience representing men facing divorce. A good divorce attorney that understands a men’s perspective can help you through a difficult time and be there to give you expert advice from years of experience. The Father’s Rights Divorce attorneys at Krupp law can help you.